Iraqis wrangle over who should free Mosul: Kurds, Russia, US or Shiite Militias? Who would be the best to liberate Mosul from the Islamic State group? A survey of Iraqi opinions on NIQASH’s Facebook page received 900 comments and show just how deeply divided the country is. 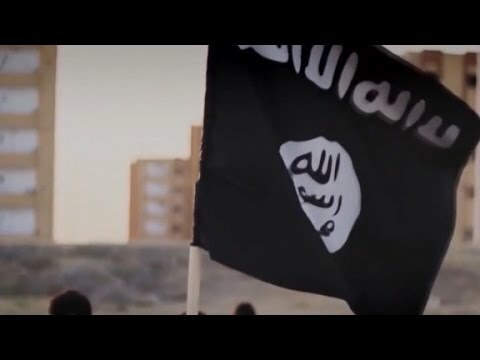 An unofficial survey on Facebook that garnered over 930 replies from Iraqis indicates just how deeply the extremist group known as the Islamic State has wounded the country. At the end of October NIQASH asked Facebook fans who they thought had the ability, and the right, to free the northern Iraqi city of Mosul, currently controlled by the violent extremists from the Islamic State group. There were six choices: The Iraqi army, the Iraqi Kurdish military – also known as the Peshmerga, US special forces, troops from Iran or Russia or the volunteer Shiite Muslim militias, also known as the Popular Mobilisation Units. Respondents were also asked as to whether a certain combination of these forces would be the best to free Mosul from the Islamic State, or IS, fighters. Respondents were mostly split between two popular answers, that reflected the division in political loyalties in Iraq. The first involved the volunteer militias in combination with Iranian troops locally and with international support from Russia. The other popular answer involved Iraqi Kurdish forces in combination with the US. The third option was one expressed independently by many Sunni Muslim respondents, who tended to believe that their own people – tribal militias and local fighters in Sunni-populated areas – should be responsible for freeing Sunni areas. Although it is important to acknowledge that the types of respondents were not categorised according to sect or ethnicity – for example, it is possible that not as many Sunni Muslims responded, due to the fact that many Sunni areas are under extremist control and may not be online as much – hardly any Iraqis put trusted the Iraqi army to free Mosul. Only a handful of Iraqis liked the idea of a military force made up of all of the different fighting parties cooperating, one that would combine the Iraqi army with volunteer militias and Iraqi Kurdish forces. “Mosul will never be liberated if Sunni, Shiite, Kurds and Turkmen do not unite and get weapons – and the approval of the US,” wrote one of the rare supporters of this idea. There were also conflicting views expressed about international interference in Iraq. Many commentators supported an increased Russian role in Iraq even though at the moment, their missiles are passing over Iraq to land in Syria. The Russian airforce has twice shut down airspace over Iraqi Kurdistan and this week Iraqi Kurdish President, Massoud Barzani, complained about this publicly. Iraqis also expressed opinions about US actions in Iraq that reflect popular rumours saying that the US is actually supporting the IS group, dropping them supplies and bombing Iraqi troops. These rumours started when leaders of militias – in particular, of the more extremist militias like Iraq’s Hezbollah and the League of the Righteous, or Asa’ib Ahl al-Haq – said they saw US aircraft dropping weapons to the IS fighters by parachute. There were also some pictures posted on social media by IS fighters where they displayed several wooden boxes with US army logos on. The rumours have spread and to this day, despite various official statements to the contrary from the US and from the Iraqi government, many Iraqis are still suspicious. Iraqis also started to engage in a lot of criticism of their own political leaders. The main targets were former Iraqi Prime Minister Nouri al-Maliki and the current Iraqi Kurdish President, Massoud Barzani. Al-Maliki was held responsible for the current security crisis by many respondents while Barzani was widely blamed for allowing the Sinjar area and even the city of Mosul to fall to the Islamic State. There was also a lot of partisan commentary, with those who supported Barzani saying he was a hero, and then maligning politicians from Baghdad, and vice versa. Some of the accusations being made were inflammatory and definitely stretching the truth – then again, this is obviously standard for political commentary on most social media. One thing that the oppositional arguments do show though, is how far apart the various parties in Iraq are when it comes to opinions on how best to free the country from the IS group. It also shows the lack of trust between the different parties and therefore most likely, how hard to will be to build consensus in the post-IS future.